Sweater Stone, 3.5" x 2.5"
Home / Sweater Stone, 3.5" x 2.5"
SWEATER STONE-This convenient tool removes pilling and renews the finish of sweaters naturally. It was created to restore the look of knits and sweaters without exposing them to the rigors of dry cleaning. 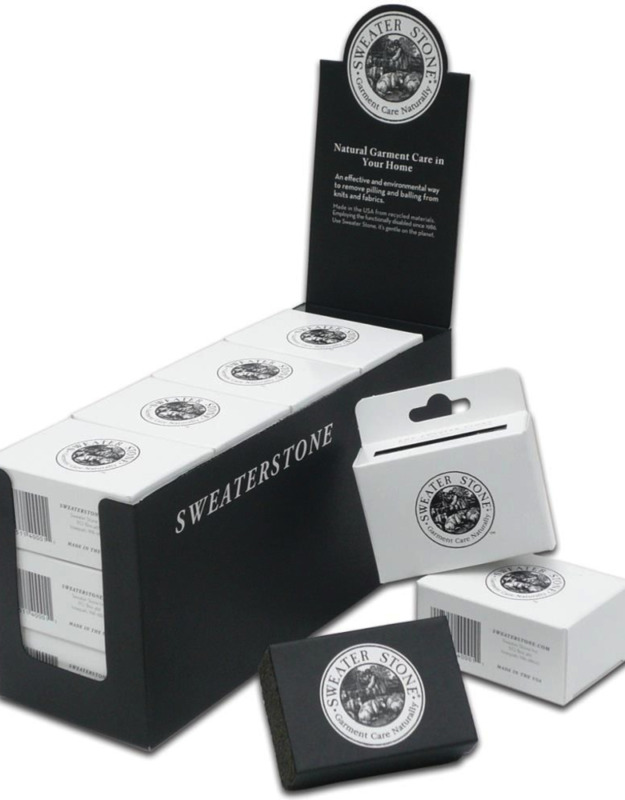 Sweater Stone is made of natural pumice that quickly lifts away pilling and revitalizes knitted garments. Its versatility allows use on a wide range of fabrics including furniture and polar fleece. Normal use: will last up to ten years. Size: 1.5Hx3.5Wx 2.5D.